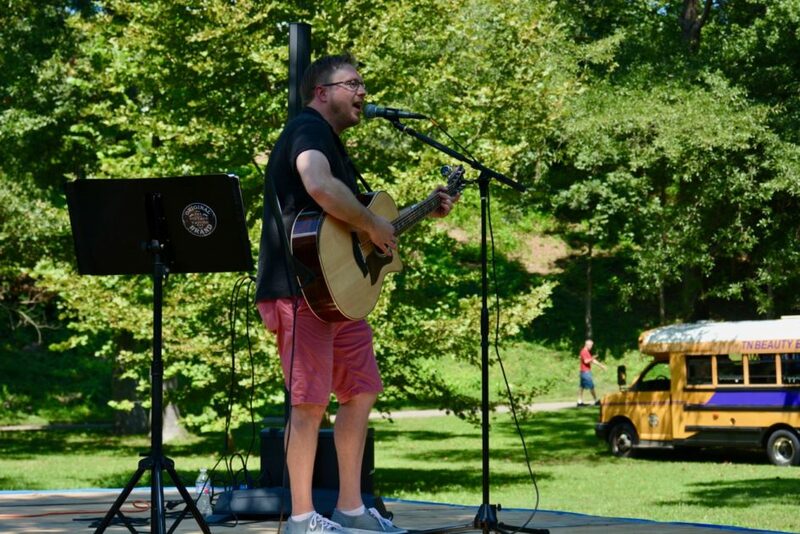 Friends and neighbors gathered in Fountain City Park on Labor Day for the final concert in the Fountain City Lions Club’s 2018 Concert in the Park series. Held each month this summer, the concerts served as a fundraiser for the club, with the added bonus of getting the community out to the park. 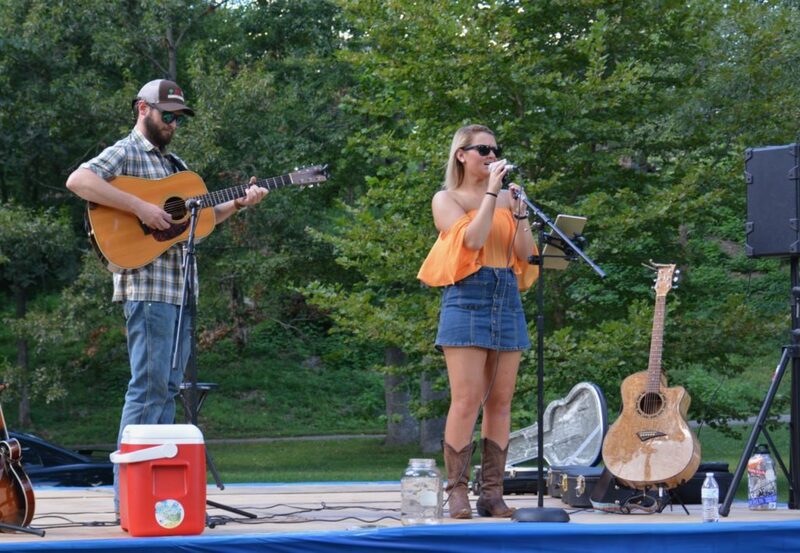 Performances on Labor Day included Kevin Griffin, Briana Alleman Scalf and Chesney Harrison. Plenty of food trucks and vendors were on hand, and kids enjoyed playing in the creek and on the playground. Knox County Commissioner Michele Carringer was the concert sponsor. Lions Club member Penny Kleinschmidt took the stage to announce a membership drive for Fountain City Lions Club to be held 6 p.m. Monday, Sept. 24, at the Fountain City Lions Club Building. 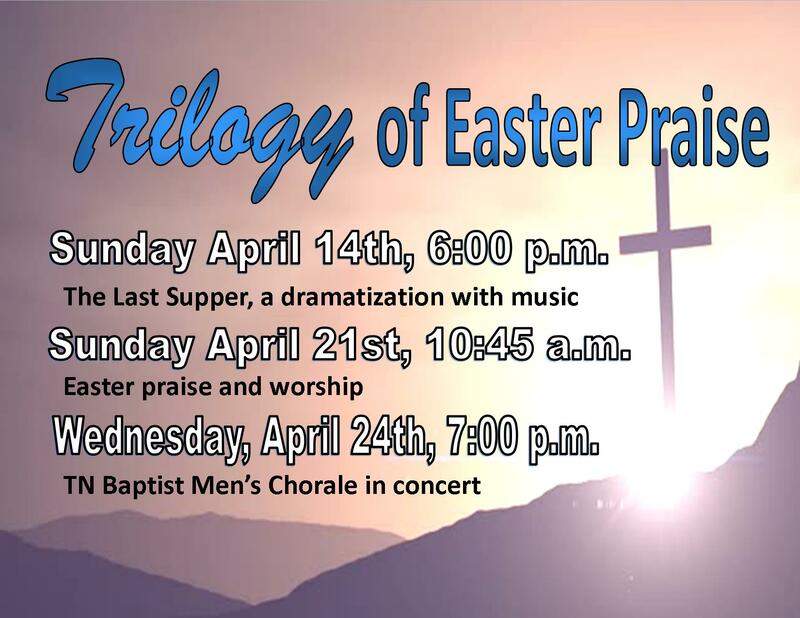 Food will be provided, and all are welcome to attend. 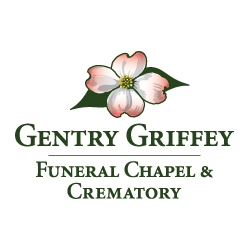 Rick Estes, also of the Lions Club, encouraged everyone to purchase memorial bricks at $60 apiece to help defray the cost of redoing the park’s walking path. For info, visit the club’s Facebook page, www.facebook.com/fountaincitylion/. Will Tate and Chesney Harrison perform Dolly Parton’s “Jolene” at the concert in Fountain City Park. 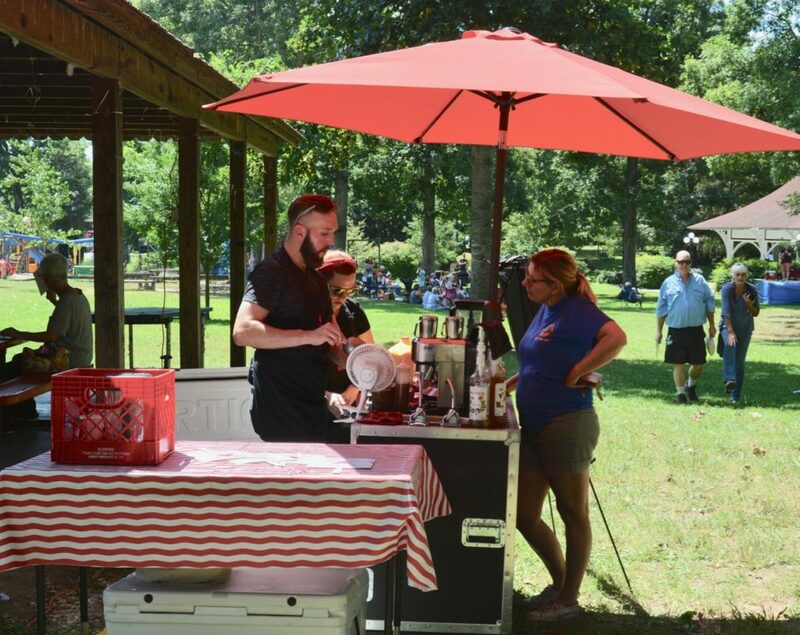 Penny Kleinschmidt (right) of Fountain City Lions Club gets a coffee from Refill Coffee Cart at the Concert in the Park. 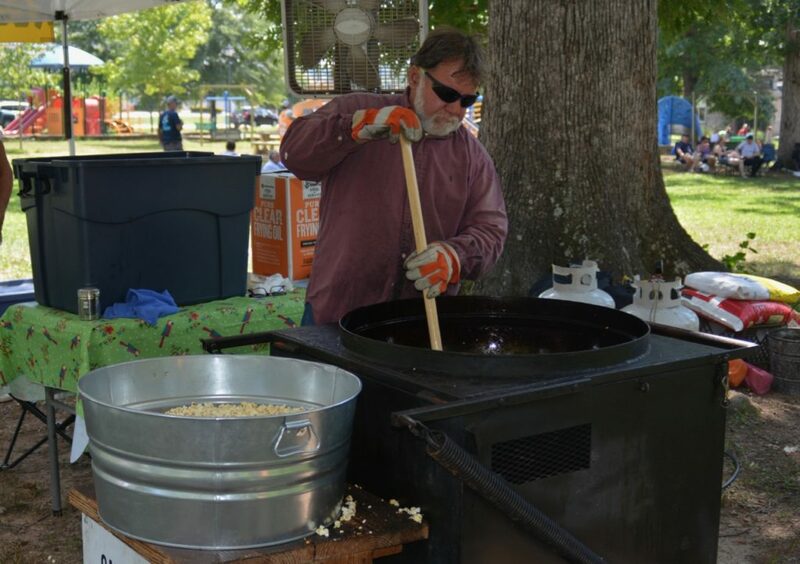 Tommy Kelley of Kelley’s Kettle Korn stirs the pot. 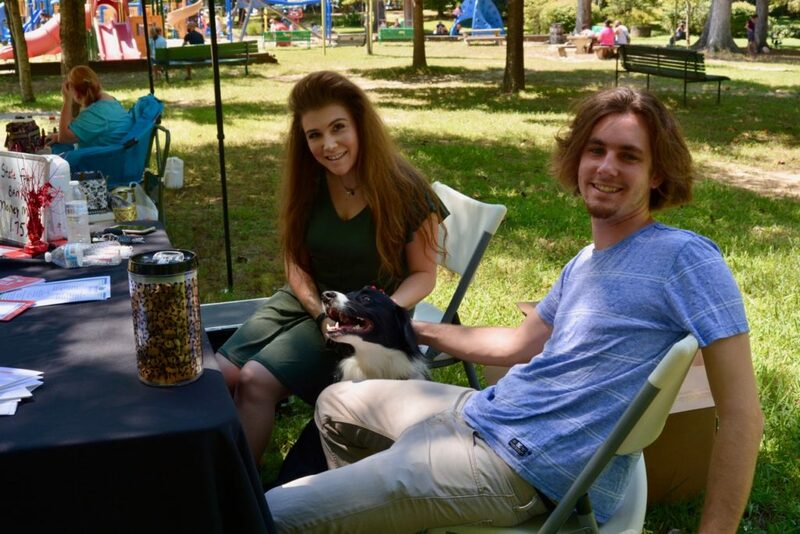 Dominique Forames of Penny Kleinschmidt State Farm, dog Charlie and friend Anson Langley greet visitors to their booth at Concert in the Park. 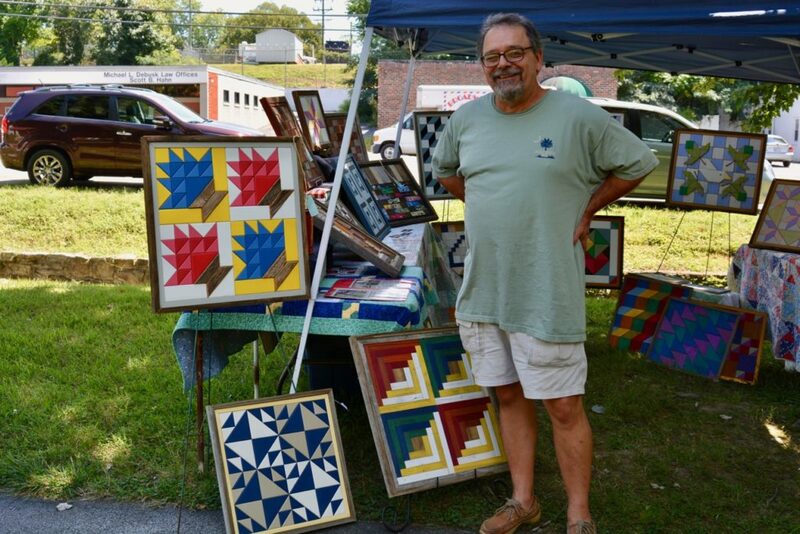 Artist Don Grogan brought his scrap-wood quilt squares to Concert in the Park.